Students will be able to describe their sense of smell. Students will be able to identify various smells. Tell your students that they will be learning about their sense of smell today. Ask your students to imagine their favorite food. 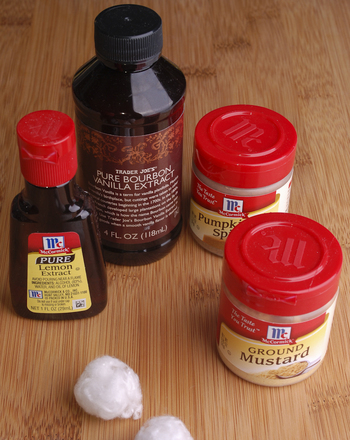 Go around the class and ask your students to describe the smell of their favorite food. Ask your students to tell you some smells that they are familiar with. Write the smells on the board. 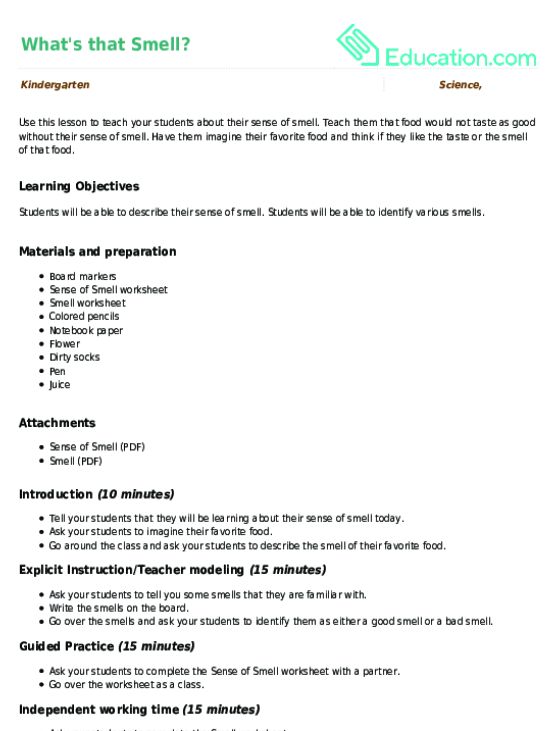 Go over the smells and ask your students to identify them as either a good smell or a bad smell. 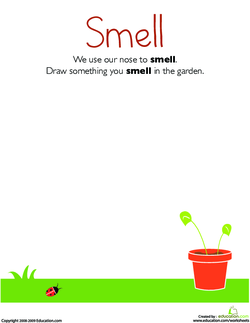 Ask your students to complete the Sense of Smell worksheet with a partner. 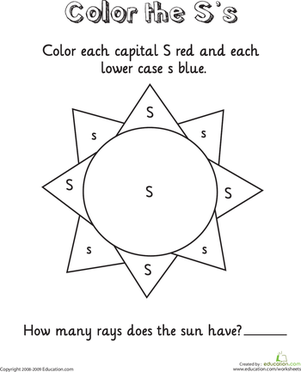 Ask your students to complete the Smell worksheet. 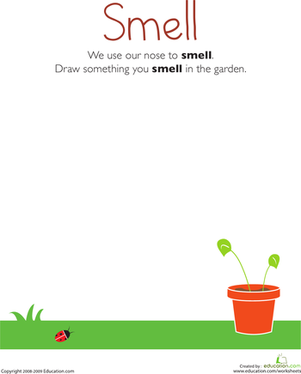 Tell your students to draw and colour an object that they smell in the garden. Enrichment:Ask your students to write and draw five things they smell in their bedrooms. Have them write the smell next to each object. 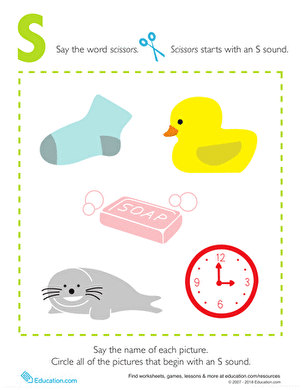 Support:Ask your students to smell and describe four objects. You can ask the student to smell a flower, dirty socks, pen, and juice. 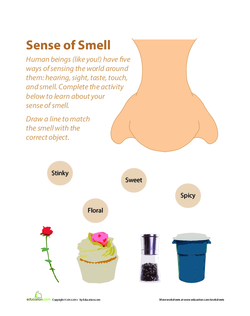 Conduct a short quiz on smells. 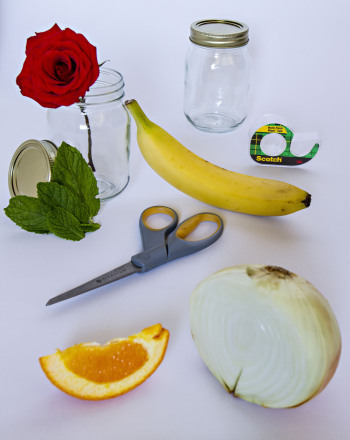 Ask your students to write a smell for four objects. A few examples of objects could include flower, marker, socks, and pizza. Have your students use descriptive words, such as Sweet, bitter, yucky,Or Rich. Ask your students to think of one thing they can do every day to make sure they smell nice. Ask them to share it with the class. 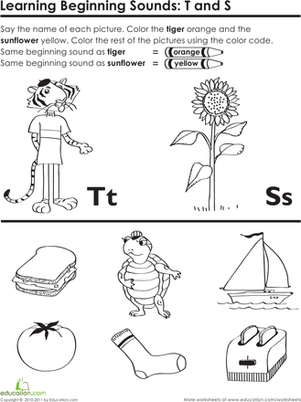 Make phonics fun with this great coloring activity, featuring words that begin with T and S.